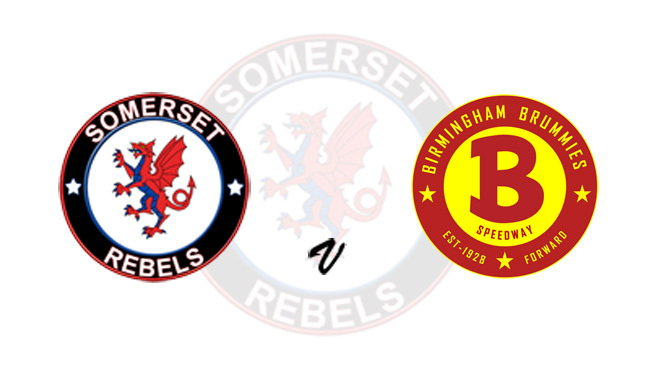 Two of the SGB Championship 'new' boys go head-to-head on Wednesday night (April 10th) at the Oaktree as the 'Cases' Somerset Rebels host the Birmingham Brummies, from 7.30pm. With the disappointment of their Anniversary Meeting postponement put behind them (a meeting incidentally that has been rescheduled for Wednesday 1st May) the Rebels are itching to get their season underway with team manager Garry May claiming "the team just can't wait to get out there and put some competitive laps under their belt and hopefully we can attract a decent sized crowd to witness it." "It is very much early days for the side. Valentin (Grobauer) is waiting to make his first official race in the UK and I know that he is ultra-keen to try and please the crowd and I am sure that many will be looking to see how our new reserves, Anders and Henry will fare in the first Championship level meetings. In fairness to them they probably come up against two of the stronger reserves in the division in Paco Castagna and James Shanes, at least the averages suggest that, with those two having a combined figured of 8.96 compared to our 4.00. But both my boys are assessed at the minimum of two and I believe that they can both develop those averages as the season progresses." The Brummies arrive with two riders familiar to Rebels' fans, both Kyle Newman and Zach Wajtknecht having been on Somerset books in the past. With the experience of Ulrich Ostergaard at number one, the second-city side have Ashley Morris and Danish newcomer Tobias Thomsen completing their septet. The fixture is a SGB Championship Shield group match, the two clubs being joined by Eastbourne, where the Rebels travel to on Saturday, in the Southern group, which is one of three - the Borders (Berwick, Newcastle, Edinburgh and Glasgow) and Midlands (Leicester, Sheffield, Scunthorpe and Redcar). The top team from each group and the best second place race off in two semi-finals over two legs with the winners of each semi-final then racing over two legs in the final to decide Championship Shield winners.